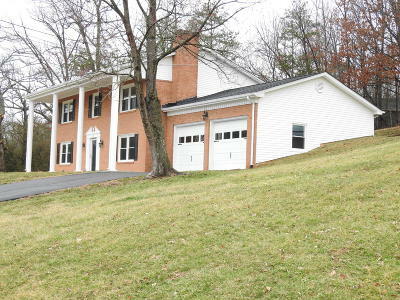 Nicely remodeled home located in Blue Ridge area. Stately front porch. Freshly painted throughout with modern paint colors, New Flooring, New light fixtures, Updated kitchen w/ stainless appliances, Both bathrooms have been completely updated with pretty tile-work & beautiful vanities that have granite countertops, Upper level bathroom has jetted tub, Entry level office could be potential 5th bedroom(no window) Replacement windows, New architectural roof, New rear deck, Newly paved driveway, 2 car garage.